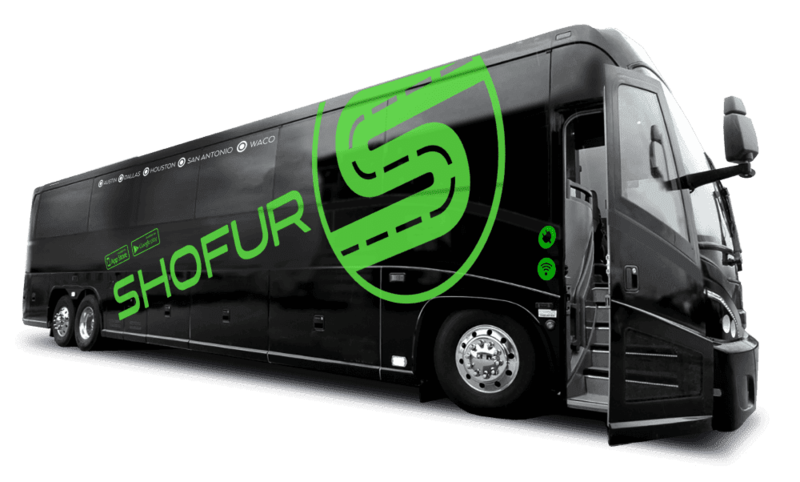 Even with over 5 million miles logged, our trusted network of Shofur drivers has not had any accidents on the road. And with access to more than 3,000 buses, we can find the perfect ride for your needs as you explore St. Louis. Booking a trip to or around St. Louis, Missouri, sometime soon? Don’t leave transportation up to chance when traveling in an unfamiliar place—that’s just a bad experience waiting to happen. Instead, book your own charter bus or mini bus to assure passenger safety and a comfortable, reliable ride each and every time. You can call us 24/7 at 1-800-436-8719 to get started! The wonderful perk of booking with Shofur is the luxury of having personal transportation to anywhere you want—though, the fast and simple booking process is pretty awesome too. No matter your group size or your travel purposes, there is a bus for every occasion and a driver at your disposal. Say you want to bring a church group to the St. Louis Cardinals game… No problem! The amenities offered with our 25-passenger mini buses make a trip to the ball game even better—reclining seats, handicap accessibility, and overhead storage all add up to an amazing transportation experience. Perhaps you have a field trip to plan? The Fabulous Fox Theatre is a fabulous destination for students and adults alike, especially if you have theatre buffs and art aficionados in your group. You can ride to your show of choice in style with a sleek 55-passenger bus, which comes equipped with power outlets and a luxury European-style interior to make any rider feel like a VIP. Of course, if you’re booking a bus for a touring troupe or band, then you might want to opt for the gorgeous Entertainer bus, which will be a comfortable home away from home. Even if you just need a basic shuttle service for wedding or business convention attendees, the experience can be immediately elevated with the 32-44 passenger mini buses. A trip to the Anheuser-Busch brewery just might be in order, and luckily, you’ll have a designated driver. These mid-sized vehicles can be customized to suit your group, with add-ons such as luxury sofas and televisions. Give your guests the incredible shuttle experience they would never expect, and watch the compliments roll in long after the event has ended. Just call us ASAP to ensure you get the perfect bus; the sooner you book it, the better we can guarantee you’ll get what you want. Imagine riding by the iconic Gateway Arch and wanting to stop so badly to take a photo. However, you’re on public transportation, so requesting a quick stop isn’t exactly possible. With Shofur, you don’t have to worry about other people’s schedules. When you bus with us, you have the whole vehicle at your group’s disposal, which comes in handy when trying to tour historical landmarks and points of interest in St. Louis. Not only is there ample storage room in all of the buses we charter (no more lost belongings! ), but the majority of the buses also offer tons of upgrades and amenities to make your trip even better. Amenities such as free onboard WiFi, power outlets, reclining seats, and personal AC controls are the details that put renting a charter bus a huge cut above settling for confusing public transportation. Plus, how are you going to upload St. Louis photos to your Facebook without WiFi and a place to charge your phone? If you’re looking for things to do in St. Louis, one of the easiest itineraries to plan is a DIY tour. Start at the City Garden, then head to the Jefferson National Expansion Memorial Park for a perfect photo opportunity of the Gateway Arch. The Old Courthouse is also a must if you have history buffs onboard, and the Missouri Botanical Garden will brighten anyone’s day. All these stops are made simple with a personal bus at your service, and you’ll never have to worry about it breaking down or being late. Give us a call any day, anytime at 1-800-436-8719 to discuss your St. Louis travel plans further. We know how stressful it can be planning for a large group, so we strive to make the bus booking process as painless as possible. We are available to chat 24/7 and can give you a quote within minutes if you want. You don’t have to book with us right away (seriously, no obligation there), but we do think you’ll like how easy we make it to mark one more thing off your list.